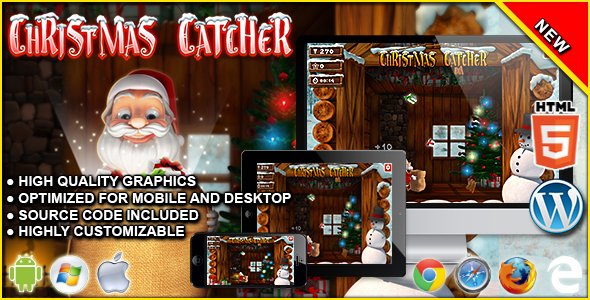 Xmas Catcher is a HTML5 Arcade Game. The roof of Santa’s house went down! Help him picking up as many gift packs as possible! But be careful to not take the pieces of roof! 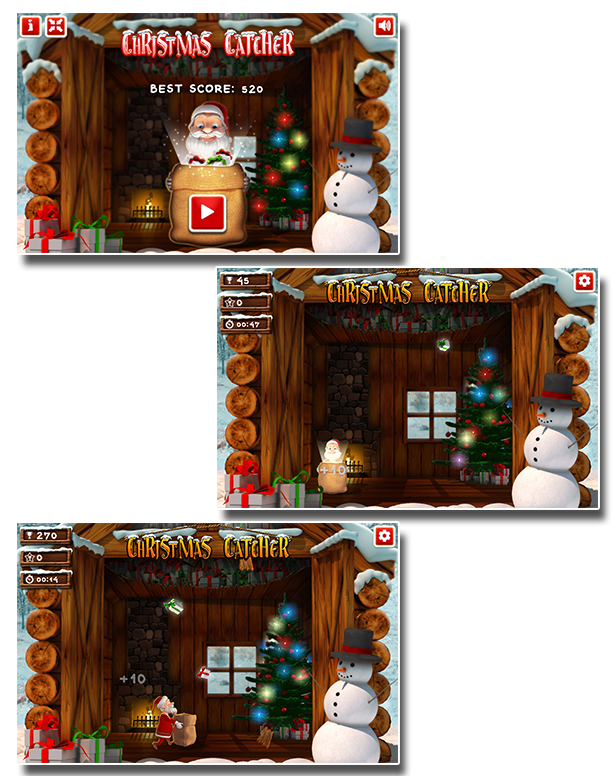 The ZIP package contains the game with 1920×1920 resolution that scales to fit a full device oriented screen. Simply upload to your Server or incorporate with the CTL Arcade WordPress Plugin for even easier installation. The game is completely customizable from Skins to Branding. All source code is included so you can easily make changes or hire us to customize the game for you. Fully compatible with most servers, however always good to check with your admin team or host company. Naturally achieving 100% compatibility across every device screen size is very difficult, but all games created are tested on the most common of all web browsers and devices including Chrome, Firefox, Safari and Opera, tablets, laptops, iPhone and Android devices. This superb WordPress plugin will take your drab WordPress website and turn it into a Real Arcade Game Machine with ease. Add Ad Banners and create passive revenue.